Seventeen year-old Sawyer Hayden isn’t a nerd. He never misses a free throw and his good looks always get him the girl. But good looks and a good handle aren’t enough to get him what he really wants, and that is a shot at a basketball scholarship. For that to happen he needs to stay in one school long enough for a scout to watch him play. Sawyer knows a semester is about as long as his flighty, on-again, off-again mother can handle living in one place before she takes off with the boyfriend no one wants to mention. He knows it’s a matter of time before he’s back in the family big rig with his jilted father and brooding brother on his way to another new school, another round of try outs and another day further from his dream of basketball stardom. With the clock ticking on his senior year and chance for a college scholarship, Sawyer abandons his father and brother for a permanent life in Nebraska with his grandfather, Gus. But life in his father’s hometown isn’t what Sawyer expected, and soon stories of his father’s former glory days as a high school football star begin to surface; tales of gridiron greatness and career aspirations that end tragically with his marriage to a flighty, on-again, off-again girlfriend. Determined to avoid the same fate that robbed his father of his own professional sports career, Sawyer makes a vow to never fall in love. Enlisting the help of his awkward teammate Jeb, the two devise a game plan to keep the girls away. But there is an obstacle in the road that Sawyer never sees coming: a blue-eyed obstacle who reveals a fate worse than failure– success. Love the title and cover. I’m in the process of (probably) self-publishing my first novel, and writing a non-fiction work for this month’s NaNoWriMo. Really interesting to find other bloggers who are out there doing it too. Congratulations and good luck on the one you’re working on. Thanks! If you’d like some exposure I’ve got a project called Wrists Around The World where authors donate copies of their books to a specific cancer charity. Go here to check it out and let me know if you are interested. Wheelchairmaniac? Really? U R Awesome, Joe. Thanks. Pingback: How I Love A Hellis, The Happy Birthday Edition! | OhMyGawd, Just Do What I Say! So do you just have two books out? The God of Asphalt and the Reapers one? 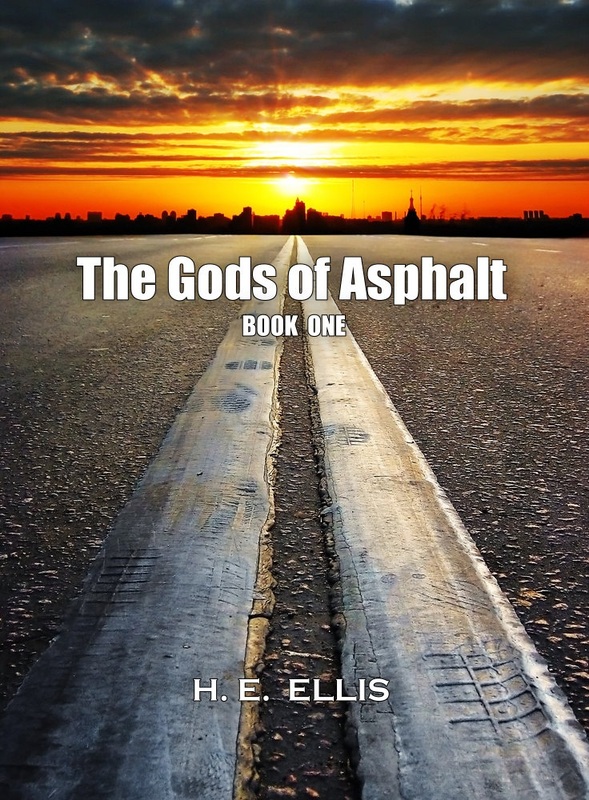 Right now I have THE GODS OF ASPHALT – BOOK ONE, REAPERS WITH ISSUES – BOOK ONE and ICONIC INTERVIEWS which is a collaboration with other bloggers out in the world. I am working on GOA2 and REAPERS 2 right now. Hopefully they will be out by the end of summer. Are they in hard back? It seems most bloggers have published Kindle only? I am going to search more from home. Yes, I have them for sale in paperback through Amazon. I thought about only putting out eBooks, but I know I love the feeling of a book in my hands so I went with both formats. Good….nothing better than a real book in my opinion. I look at a computer all day long and read blogs enough that a book is super refreshing. Plus I kind of know you through your blog so that is cool. I look forward to getting it. Thanks..
Are you kidding?? Thank YOU! I got a promotion at work (good) which means I work a lot (okay) but that takes time away from writing (bad). After a while it got hard for me to put effort into my books. Sadly, most days I forget I write books at all. Now I feel energized to get writing again!